This is my first update for Finish 9 by New Years. I am a few days past the first of the month but school and family life has been keeping me super busy since summer ended and I find my blogging time to be lacking. I do love it though so I'm trying to find a good schedule I can stick to. I started Finish 9 by New Years on September 1st. 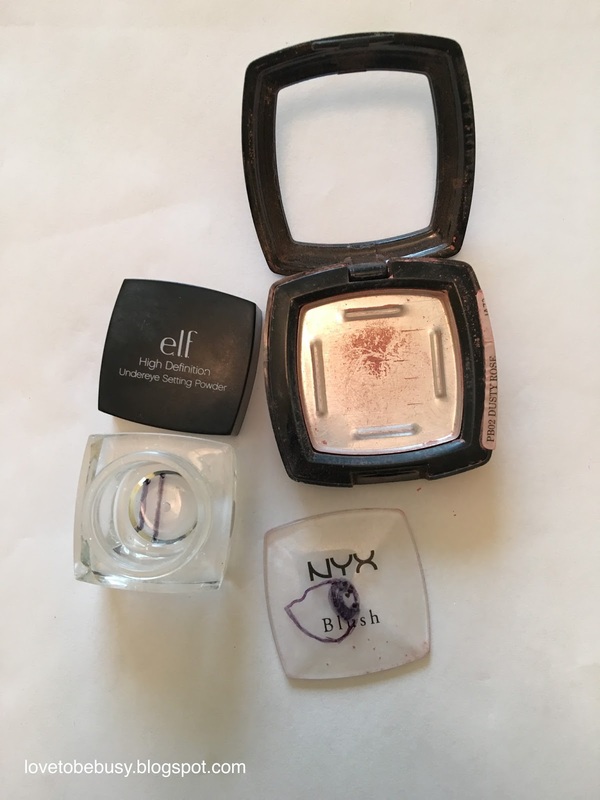 I rolled over 9 products from my Project 20 Pan that I didn't finish. You can check out the intro post here. 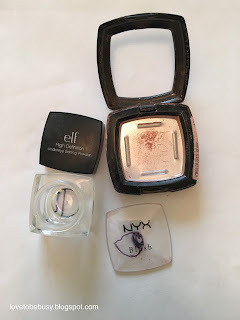 I already finish 2 products! I didn't anticipate finishing them so quickly but I have to say it is so nice to have a few products done! You can see the newest mark of progress. The Vasanti scrub is slow but steady progress. When I take off the cap, there seems to be a lot of air so hopefully I'll hit a point where this goes quickly. I feel like the lotion is the same way. There really isn't too much left in the tub and hopefully the lotion will be finished by the next update but that might be wishful thinking. I haven't used these two products for the most part. 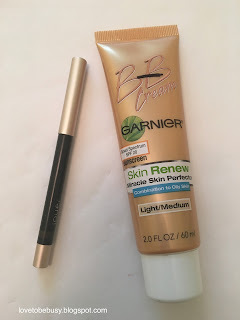 I mixed the Garnier BB cream with another foundation and I am using that combo every day. I would guess this tube is about half full still. I have not used the Jouer liner yet because I have been focusing on the other liner in the project. The Stila liner is very close to being done. I sharpened it again this morning and it is getting very small to be able to use without making a crazy line. 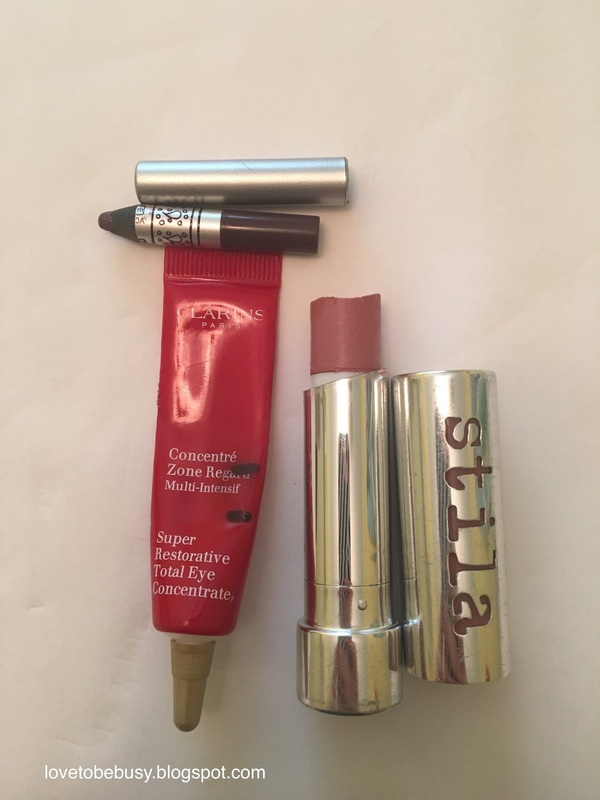 The Clarins eye concentrate is almost finished although I will miss it:( I'm making progress on the Stila balm although because the tube is slanted I'm not sure how it will go once I get close to the plastic at the bottom. I'm not sure I'll be able to apply the last bit without making a mess. 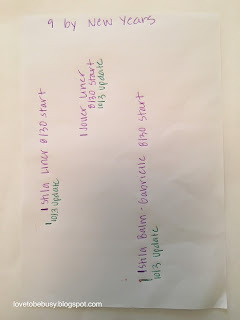 Here are the progress marks for the liner and lip balm. You can see my progress on the Stila liner and balm with no progress mark on the Jouer liner. 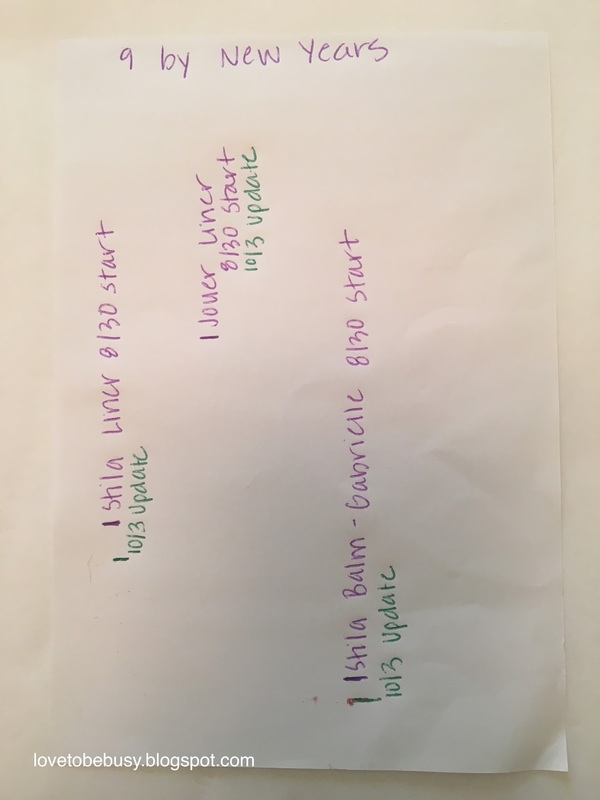 I won't make the Stila liner all the way to the bottom of the page because I accidentally marked the purple part that won't sharpen but you can still see progress. I'm hoping to have a few more finished products by next update. 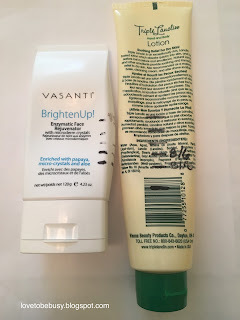 I am also doing 12 Empties of Christmas so I will have a lot of products to be sure to finish by the end of the year. I'm hoping some of these are finished at the November and December updates so I don't have as many products to worry about by the time December comes. What projects are you working on? Let me know so I can watch your progress? *All opinions are my own. All products were purchased with my own money. I was not compensated in any way for this post. Good job on that blush!! Thank you! Feeling great about finally finishing it!